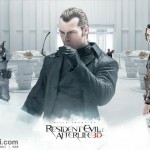 Resident Evil: Afterlife- Two Thumbs Up! 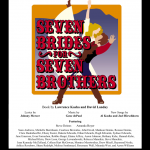 My Fifth Musical: Seven Brides for Seven Brothas! I’m performing as Benjamin Pontipee, the 2nd eldest of seven brothers, in this axe-swingin’, bride-kidnapping adventure!! Includes a 10-minute challenge dance and Milly’s sweet home-baked pies!